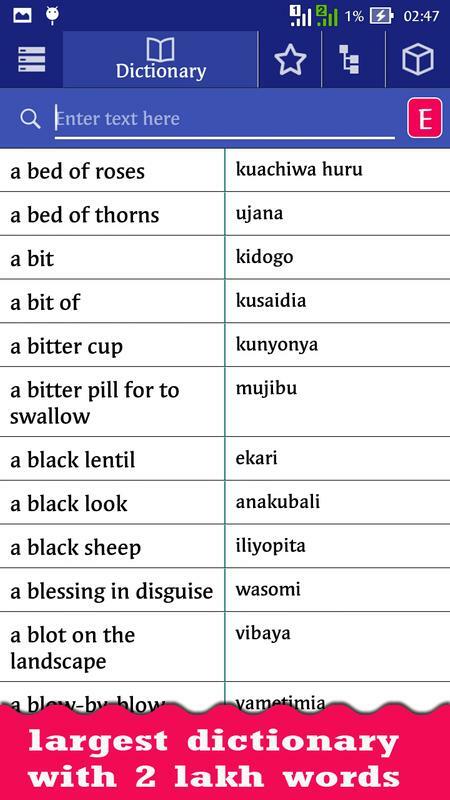 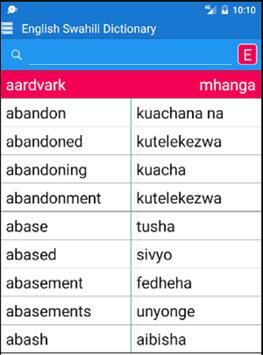 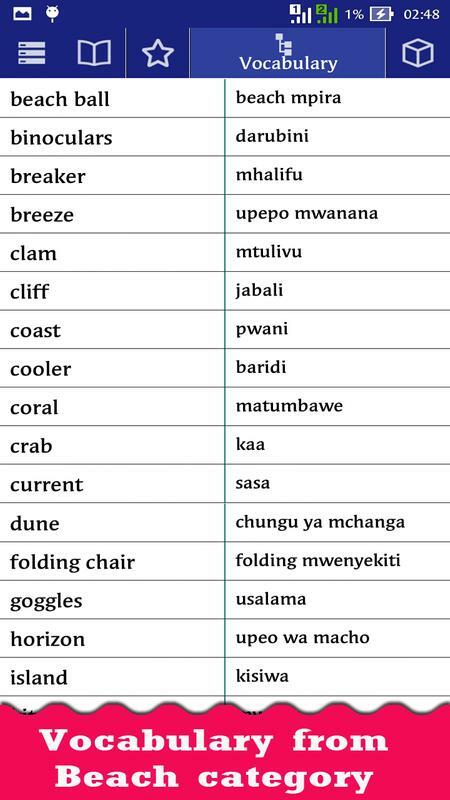 English <> Swahili Bi-directional Dictionary. 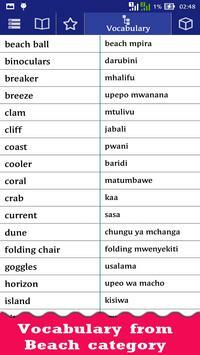 You can use this dictionary as learning tool. 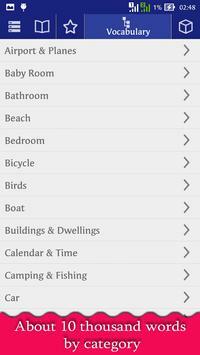 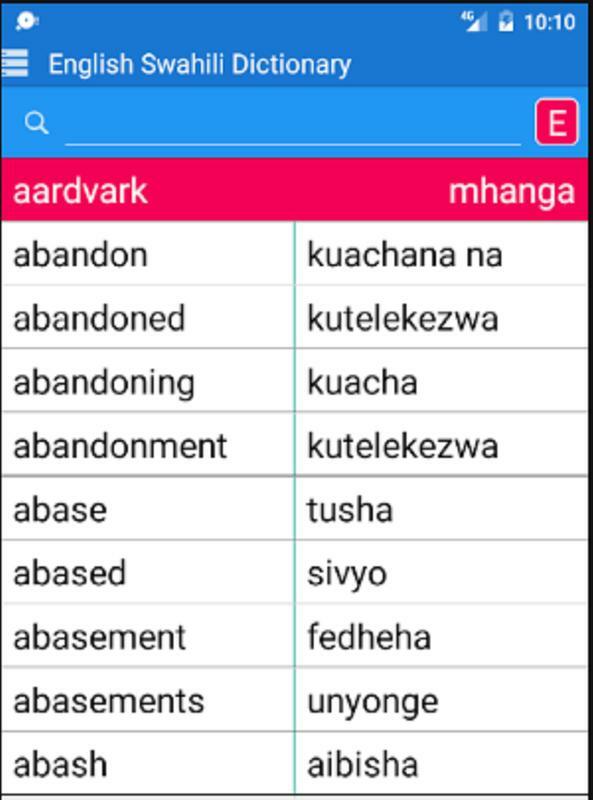 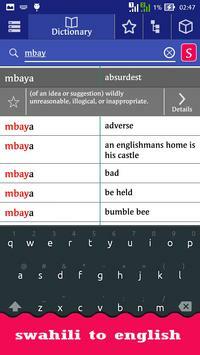 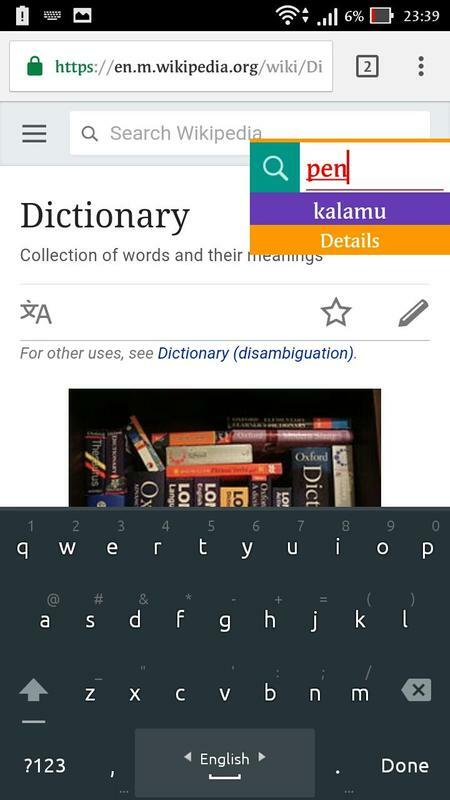 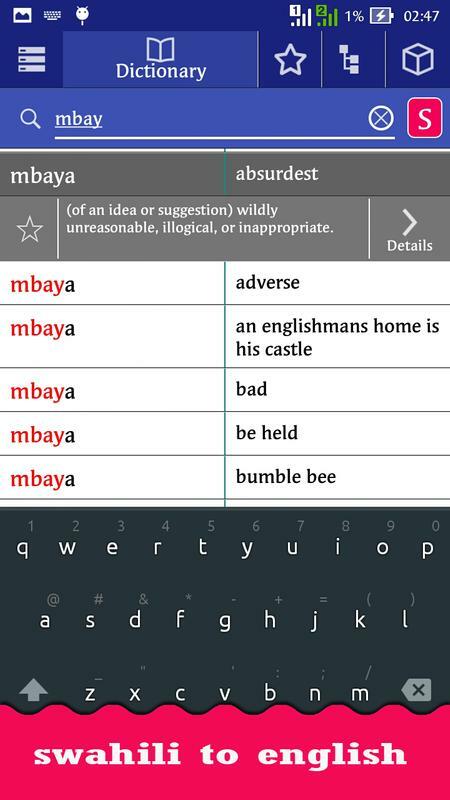 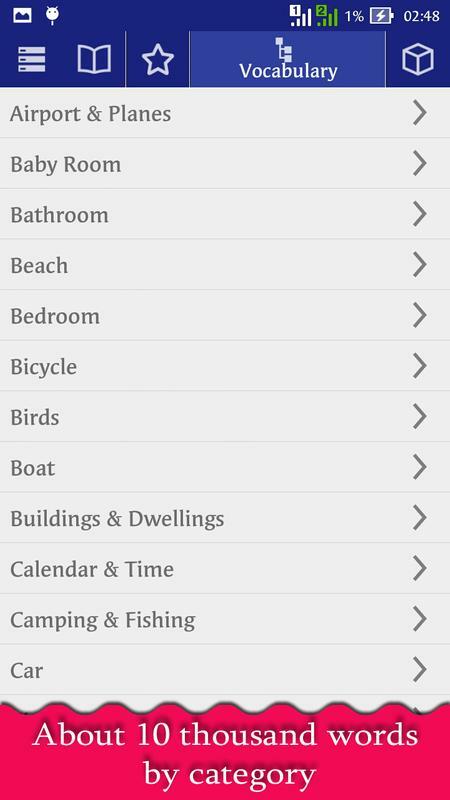 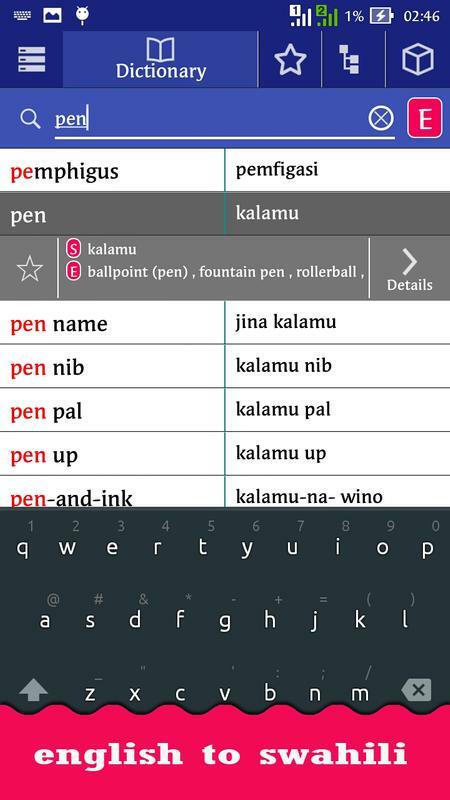 Browse words like a real dictionary, search in English and Swahili, Words by category. 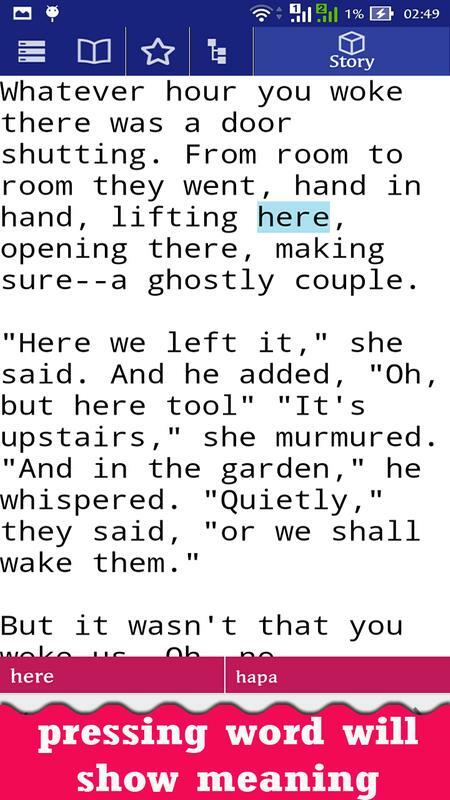 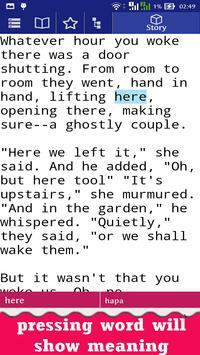 also Lots of details like word definition, example, Synonyms, Pronounce. 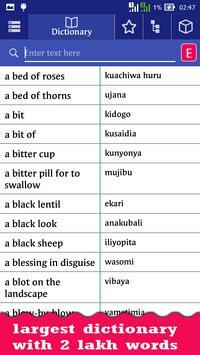 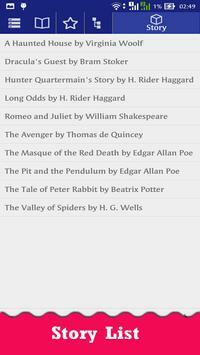 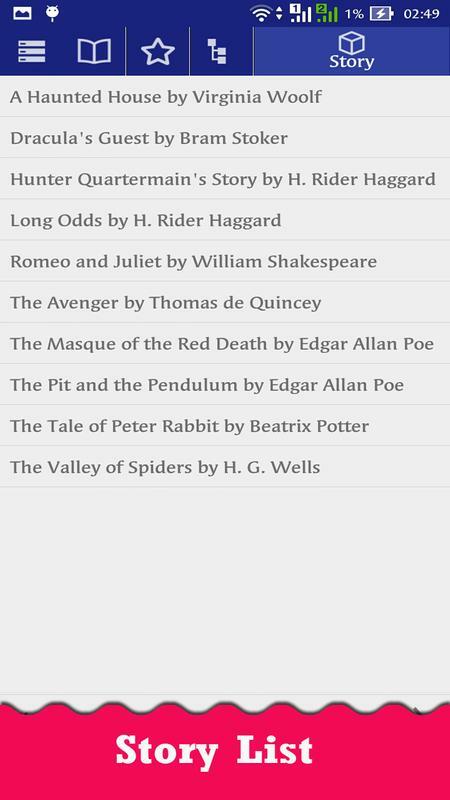 also have vocabulary list to grow your vocabulary bank .